You are here: Home / Digital Strategy / How to fix your digital strategy while avoiding pitfalls? Reading time: 6 minutes 55′. Did you say how to fix digital marketing strategy to adapt to customers, competition and market technology? But these changes haven’t really worked.. yet. Perhaps your online business is struggling to adjust to the new technologies and market demands? You’re naturally concerned, and your doubts are genuine. But do not fear as your digital marketing strategy can easely be fixed. Here is how you go about to improve it. How to restore your digital marketing strategy? Have I wasted opportunities and time? Is that what your are asking yourself? If you’re changing things around, testing it and logging what is and what is not working. The answer is, more than likely not, because its an ongoing process. However, if you’re curious or/and need rapid assistance I can work with you and show how to perform an audit to identify those issues. Very important. I will also give you a (free) checklist to keep you on track along with tools and processes that will help fix the non-working components/parts within your strategy. Firstly, mend a digital strategy only works if you align marketing and sales with your business goals and objectives, while managing the lead funnel effectively. Secondly, prioritise phases and steer away from dangerous pitfalls when implementing your strategic plan. Also read the following 7 reasons why online strategy plans fail. Aimless business strategy: the mission, vision and business values are setup for a 2-3 year period but not updated or revised. Often the global vision for a campaign has changed direction, and resources aren’t aligned with business strategic plan in order to fulfill customers, prospect’s needs/problems. Worthless or poor tactical implementation: we often say that the devil is in the detail. This is even more true when the strategic planning is released with little or no actions – surely, this cannot guide your teams, hence leading to poor implementation. Weak or lack of strategic management: poor continuous planning, data monitoring, analysis, marketing and sales assessment will danger the business in short or medium-term. All the above are required for an organisation to meet and carry out its vision, goals and objectives. Poor or lack of communication: communications and strategic management do tend to overlap with each other, meaning if the plan doesn’t get aligned and communicated properly to staff members/employees, they will not understand why, where and when to improve and/or give useful feedback. An unrealistic plan: has actions to be implemented but are unfeasible and/or there are too many to be executed in time because the team manager failed to hire qualified resources or outsource to help reduce team workloads. Out of scope: often added-on tasks not covered in the statement of work, also called S.O.W (Scope of work), that will increase the daily basis workload leading to a direct change in the project cost or time. 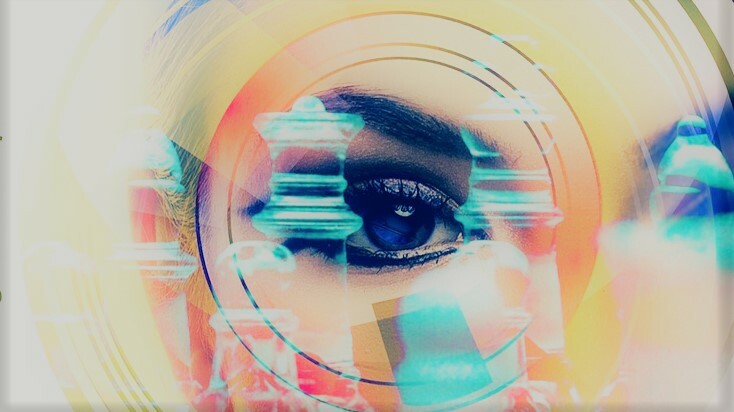 No visibility and accountability: if there is no high-level visibility and accountability then it stands to reason you will not be able to see or detect opportunities in order to drive change. It is important that each process, task, data implementation and initiative must have an accountable owner. Note: I am confident to say that business people don’t ignore the problems at hand, but their staff often do, simply because the problem has not been fully understood or identified. Identify and align the steps/changes that will be made according to your plan of action. Make the strategy clear and easier to understand for everyone. Include ground-level people in the creation of strategy and its implementation. Walk them through the logic behind the strategy and tactical choices before going live. Listen (online) and record what has been said (any resistance can pinpoint issues). Provide the processes, tools and communicate it to everyone. Implement a strategic thinking process board (continuous learning) and challenge your and teams views. Your strategy’s success will depend on everybody’s desire for change. Positive strategy change will not happen overnight. It’s like a champion training process – it builds up over time surrounded by people with a positive mind and shared leadership. What benefits will my strategy bring us? What has to change in order for that to happen? What do we need to do to make this strategy work? What tools do we need to help team visualise the future changes. We can find dozens of excellent business analysis tools/models to guide you and/or think more strategically. Boston Matrix: How to use BCG Matrix? Scenario planning: is also a powerful technique that will help you build credible (future) views for your business. You can tap into another great methodology to ensure that when planning your objectives these are as SMART (specific, measurable, achievable, realistic, timelined) as possible. Now, if your business is up and running and you’re stuck or need to quickly identify where to make the much needed improvements – I’d recommend to start with a fairly simple but efficient method to pinpoint and fix a failing part within your marketing strategy. It stands for: Strengths, weaknesses, opportunities and threats analysis. 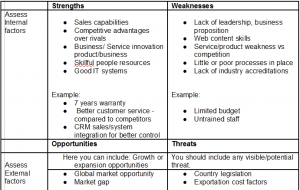 SWOT analysis is the most popular strategic analysis models among the better-known methods to help you visualise which parts of your business you’ll need to focus on. When you need to find where the strengths and weaknesses of your business are, and pinpoint any opportunities and threats then this tool can help you. Once you have identified all of the above, you can continue analysing and assess how to capitalise on your strengths, while minimising the effects of your weaknesses, make the most of any open opportunities and reduce any possible threats. 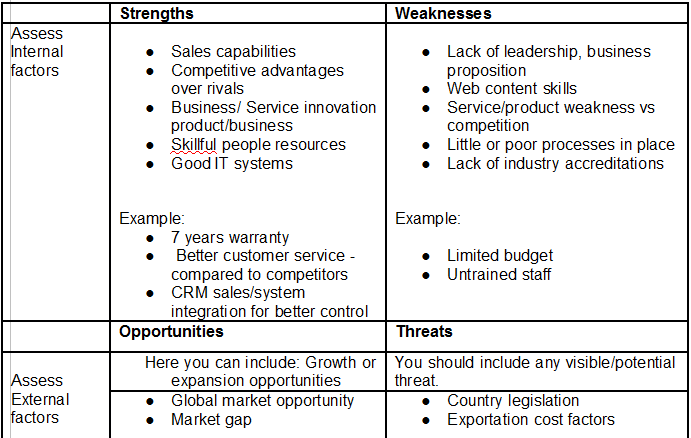 You can now download SWOT-Analysis-Template 2017 and start your internal and external analysis. Good luck. A fantastic tool to visualise the root cause of a specific problem, whilst exploring potential upcoming issues. The cause and effect diagram (AKA Fishbone, Ishikawa or Fishikawa in Japanese) and is often used by the Japanese automobile industry. c) To make sure major issues are not overlooked during brainstorming sessions. This technique is actually considered one of the best seven basic tools of product/service quality control. So, let’s start a fishbone diagram. TIP: You can get a free account with Lucidchart for an unlimited amount of time—no credit card required. Go here. Let’s take the restaurant as an example. Framing it as a “why” question will help in brainstorming, as each root cause idea should answer the question. What is the primary problem you’re trying to fix? What are the root causes of initial problem? Why do you need to fix it? What other backup solutions are there to avoid further issues? Can I use cause-and-effect diagram in marketing planning? 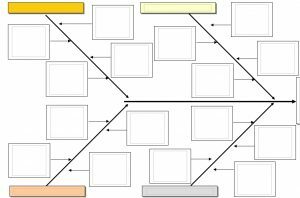 Yes, a fishbone diagram is often used by many marketing agencies for their customers strategic planning. 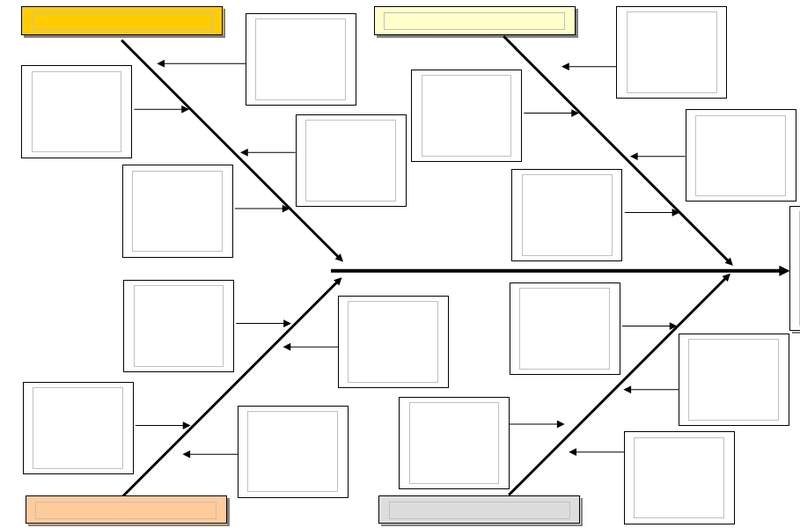 How to fix your digital marketing strategy using cause-and-effect flowchart ? Step 1. Select two small teams: Create two balanced teams of around 2-3 people in each group. Why? Because having two teams will help you quickly identify the problem by focusing on the issue at hand. You should mix front-line/customer service people who have experienced or knowledge of the problem. For bigger businesses/projects do not be afraid to build 2-3 teams of 4-6 people to identify the initial root problems- each taking over a department or business unit. This will help you be much quicker at building a new action plan. At the head of your fishbone write down the problem’s name. This is very important, allow 5-10 minutes to discuss this, depending on size of the business. Each team will have to agree on the issue to tackle. Be as specific as possible as this will redirect you at later stage to sub-categories. Step 3. Decide the major categories: Create a root cause diagram on flip chart to include: People, software or servers, methods used, material and/or environment. Step 4. Brainstorm session: Now its time to brainstorm the issue – start a session by listing potential causes – here you just ask three to five “Whys”. Make sure you repeat the process for each category previously listed. Tip/Suggestions: Write onto self-stick-notes and place them under the relevant category. Step 5. Review the diagram: Agree, validate and eliminate causes that do not apply. Step 6. Start a second brainstorming: with categories with less items to find quick relevant ideas without stopping anyone’s creativity. Step 7. Time to validate and finalise the diagram: Here you must identify the causes that are most critical, and urgent follow-ups. In 2017 and going forward, you’ll need to quickly spot and solve any digital digital marketing situation. Get deep inside on your analysis, draw and understand the priorities. From there, replan, realign business goals and focus on your audience lead funnel while refreshing and/or optimising existent content. Secondly, concentrate on mobile optimisation and third, I would strongly recommend you improving your website loading speed as part of your overall strategy. Also, forget all the trendy gadgets, plugins and other fancy stuff as these aren’t essential to help your business provide valuable and relevant content to your readers or end-users. Every business is different, what is working for your competitor may not work for you. Like I said above, if you want to save your digital marketing strategy you’ll need to first assess or audit to see what is not really working for you. Start with your goal priorities, revise them and work the plan, educate your team, republish your content, make it valuable, unique and persevere, so you can finish the year with a smile on your face. I also think that marketing strategy is much more than tapping into that egotistical concept or product idea, if you see what I mean. If well designed, mixed, followed and aligned your content strategy can deliver and empower your overall strategy on its own, and that from the moment you deliver the value people are expecting, whether it is through emotional facts or educational meanings. 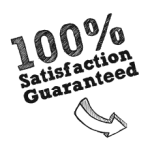 But one of the ways to do this quickly – is to implement and/or customise your marketing automation process to get you activity reports across departments (know when and what your leads are reading) and get sales lead intelligence (lead tracking and scoring setup asap so you will know where to go. Do not attempt to persuade people (old school tacticts) who read your blog post when you absolutely don’t know what they’re looking for, what their pain points are, etc. Your business can actually have a much more pivotal role in your industry if you do your home-work properly.